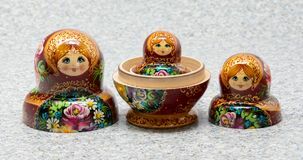 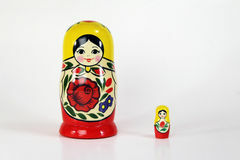 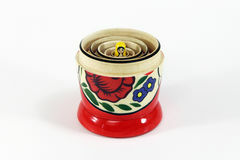 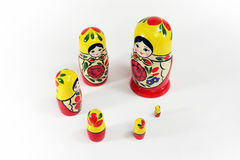 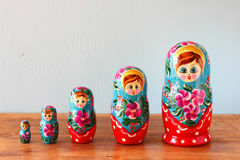 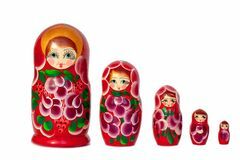 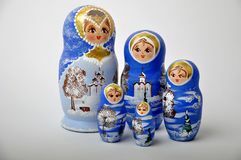 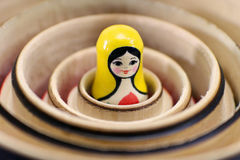 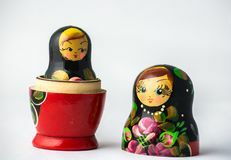 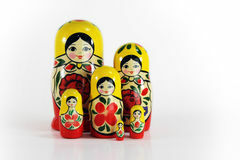 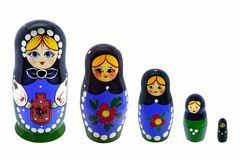 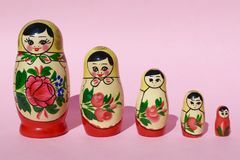 Isolated shot Russian Matryoshka nesting dolls (Babushkas) with copy space. 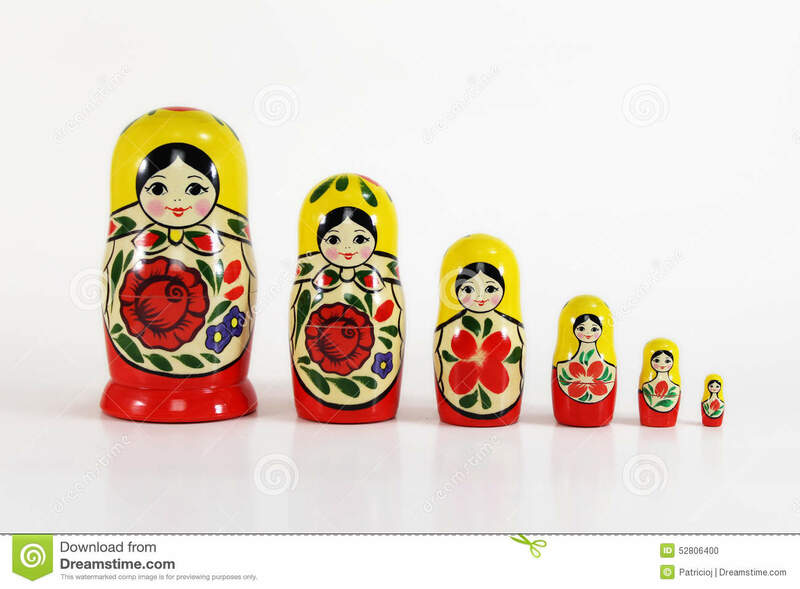 All the dolls lined up in a row from tallest to shortest. 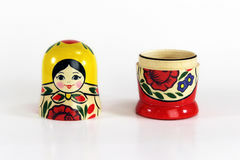 Matreshka Russian doll souvenir bright red, purple and green flowers pattern on white background isolated closeup Toy souvenir five beautiful Russian nesting dolls Colorful Matryoshka souvenir dolls Traditional Russian matryoshka souvenir nesting dolls Two Matryoshka Dolls White Background One Open Other Inside Russian Babushka Nesting Dolls on Pink Background. 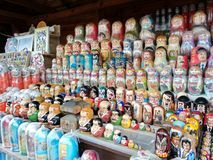 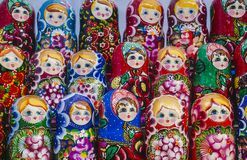 Group of Five Russian doll Matryoshka dolls Colorful Russian nesting dolls at the market.